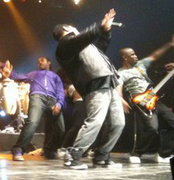 CARIMI ROCKS ZENITH IN PARIS: 10 TEASE SNAPSHOT PICTURES + ZENGLEN FORT LAUDERDALE BAL PICTURES! *CARIMI ROCKS ZENITH IN PARIS: 10 TEASE SNAPSHOTS TO WET YOUR APPETITE! *ZENGLEN FORT LAUDERDALE BAL PICTURES!